Following high school, Lee joined the U.S. Navy. After three tours in Vietnam as a Hospital Corpsman, he returned to the U.S. to continue his service in the naval reserves. He retired after 28 years, as a Senior Chief Petty Officer. Lee graduated from the University of Nebraska--‐Lincoln in 1975 with a B.S. degree in pre--‐medical studies. After serving many years in hospital administration, he founded an insurance/retirement planning business, retiring (again) in 2011. They both dedicated their lives to Jesus Christ in August, 1997, and completed their Bible school training in Tulsa, Oklahoma. Lauren and Lee were ordained in 2005, then founded Knowing Him Ministry, a 501(c)(3) not--‐for--‐profit corporation. This is a project--‐driven ministry with over 95% of donations being used directly for ministry projects. They have ministered many times in Cuba, Mexico, Colombia, Panama, the San Blas Islands, Honduras and the United States. The KHM International headquarters has been relocated to Branson West from Cuenca, Ecuador. Lauren’s ministerial focus is on teaching, evangelizing and sharing God’s healing love. She received a Bachelor of Ministry Degree in Christian counseling, completed her Masters in Christian counseling and is currently finishing her doctoral degree thesis in The same. She has been equipping believers through pastoring, counseling and missions for over a decade. Lee and Lauren served as the Senior Pastors of Misión Palabra de Vida Church in Cuenca. Lauren served as the past president of the national organization for the churches. They are serving as National Directors, Ecuador for the International Convention of Faith Ministries, and assisting at the international level, as well. From 2011 through 2016 Lee’s ministry focus was in the Amazon jungle region of E. Ecuador, making more than 100 trips to the area and planting two new churches there. They started 7 Bible schools in Ecuador. 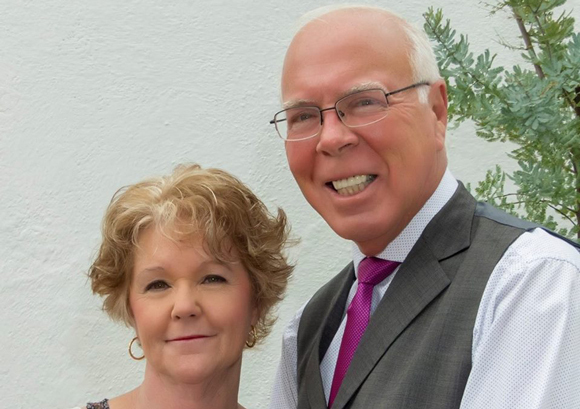 Their passion is to encourage and train pastors, teachers and making disciples for the equipping of the Body of Christ throughout South America and the United States. Lee and Lauren are currently serving on staff at Lakewood Church in Branson West, Mo. Lauren is a licensed Pastoral counselor, teacher and missionary. Lee serves in evangelism and is also a missionary. They reside in the Branson area.